It might not feel like fall here in Charleston quite yet, but that doesn't stop us from dreaming of colorful foliage and cooler days. With South Carolina grown black tea and natural cinnamon flavor, our Cinnamon Spice Tea is perfect for the changing seasons! With fall comes the new school year! If you are still trying to get back into your school year routine, a little morning caffeine might help. 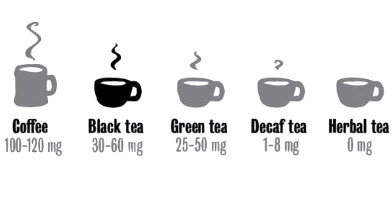 Black tea has an average of 30-60 milligrams of caffeine per serving. Choose from any of the 7 black teas in our Charleston Tea Plantation collection to give you that little energy boost. It's just what you need to get in the swing of the back to school morning routine! As the first day of fall approaches on September 22nd, the nights become chilly, fall decorations pop up on front porches and you can finally pull out your favorite cozy sweaters from the back of your closet. And what sounds better than binge-watching your favorite scary movies while curled up in a blanket and sipping a hot, soothing mug of tea? We often get asked what the best time of year is to visit Charleston Tea Plantation. While we are open year round and there is always something for you to see and enjoy, fall holds special surprises for visitors. There is usually still time for visitors to catch the end of harvest season as it wraps up around the end of September or the beginning of October. 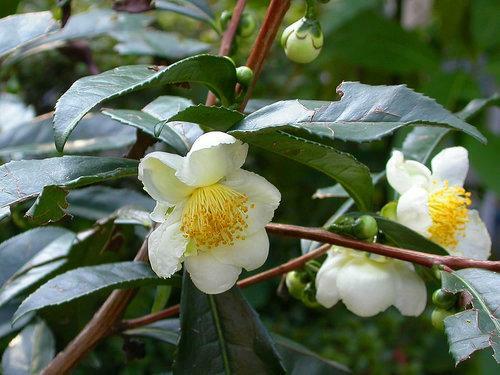 It is also during this time of the year that the Camellia Sinensis, also known as the tea plant, begins to bloom. They can start to bloom as early as August. However, they typically peak in September and can sometimes last through late October. This is usually shortly after the harvest season has come to a close. Traditionally, the blooms are followed by the plants' dormant season. So, when you are pulling together your Fall 2017 Bucket List, be sure to pencil us on there so you can catch all the wonderful things happening at Charleston Tea Plantation!